If you’re already a fan of A. G. Howard thanks to her Splintered series, then you’ve already gotten a glimpse at the talent known as Nathália Suellen. 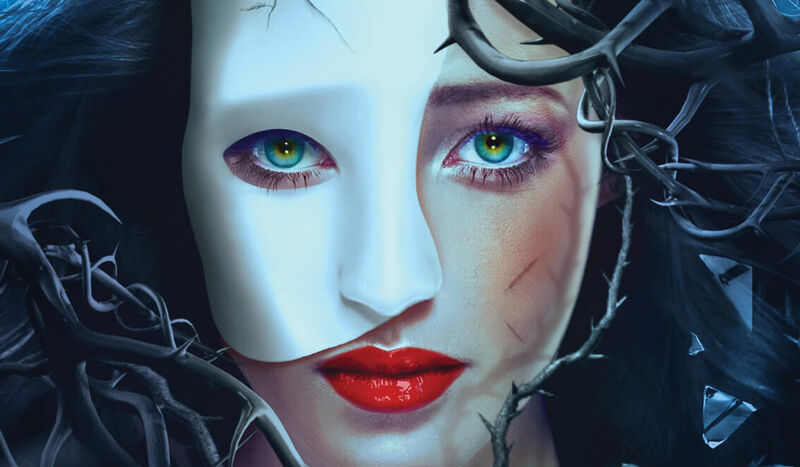 The Brazilian artist illustrated the covers for Splintered, Unhinged, Ensnared, and Untamed. So it’s only fitting that she was commissioned to illustrate the cover of A. G.’s latest atmospheric novel, RoseBlood. RoseBlood is a modern-day reimagining of The Phantom of the Opera. 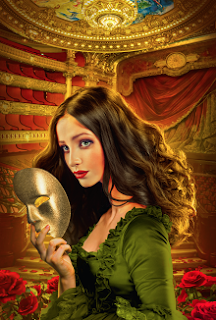 It follows Rune Germain as she moves to a boarding school outside of Paris, only to discover that at this opera-house-turned-music-conservatory, phantoms really do exist. It’s eerie. It’s pulse-pounding. And the cover is something we just can’t stop staring at, making it one spectacular package for the Phantom of the Opera or A. G. Howard fan. 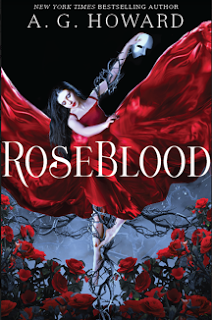 Pewter Wolf: What were the specifications for the cover of RoseBlood? 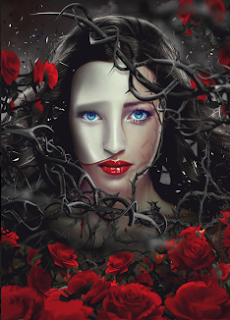 Did you read RoseBlood while creating this cover? My mind works with images and the specifications just help the imagination flow. The title itself, “RoseBlood” is already a source of imagination, I can think thousand different images from it. Maria Middleton (art director) was essential to guide me through this cover process, we’ve tried some different Parisian images to the background, a full body version of Rune (the main character), different color palettes with green accents but it all end up a very gothic emotive art, which I personally think it was a great decision, it matches perfectly with a modern version of Phantom of the Opera. How many cover designs did you work through before the final cover was decided on? And can we take a look at any of them? Were there any ideas that you couldn’t use while creating RoseBlood’s cover that you wish that you could use? I truly like it the way it is. Interesting, we never think we can create a better art. While creating the cover we all thought the old versions were perfect but when we do it again and again, we see it’s not good enough. We always can make it better and working as a team is the secret. I firstly create my version ’till my eyes get tired and then Anita share her genius thoughts of what can be done and Maria sees what’s wrong… and when it back to me, the image is bright again and my eyes renewed. The cover has similar vibes to A.G. Howard’s Splintered series. Was this a deliberate decision or did this happen by accident? If this was deliberate, how did you make RoseBlood similar to Splintered while making it different and standout on its own? We first tried to do something different (mainly with the full body Rune) but we somehow missed that movie poster feel we all love from Splintered. So that was a decision, make it similar, was not by accident at all. I personally think it’s good for Anita, it’s almost like a brand, we all know it’s another amazing Anita Howard book from distance. 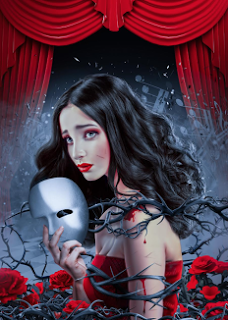 RoseBlood is dark, gothic and Splintered is mad, surreal but both girls are inviting you to read the book and join them in their journey, you can see it through her eyes. 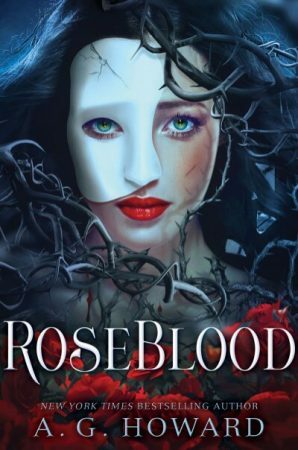 As RoseBlood is a reimagining of Phantom of the Opera, did you have any pressure while creating this cover to respect the original text but also to create something new and eye-catching for RoseBlood? When Maria sent the e-mail the very first thing I saw was “modern version”, I remember saying “God, I’m not modern”. 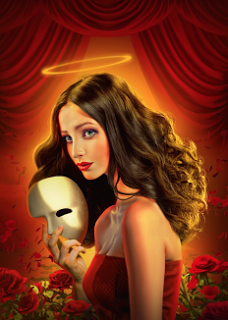 I was afraid (although I trust Anita imagination), how The Phantom of the Opera could be modern? So that was the pressure. A romantic modern classic! and now it’s very clear to me. Which cover is your favorite (from all the Splintered and RoseBlood)? The very first Splintered. I think it fits more with my art style. I like weird, bizarre stuff. What was the hardest part of creating this cover? Abandon a version you give your best and believe we can make it better again. We can learn a lot doing it but it’s suffering. “Be” Splintered in another world. If you are Alyssa or Rune, you know it’s happening again. I feel it’s like a curse. We are all Splintered girls. It’s like Anita could write our life story. I can see myself frozen through her vines and thorns in another book. (in my book I would certainly have tentacles around me). Anita is magic, she created a feeling. I feel honored to be part of it. You can learn more about Nathália, here. *Interview originally posted on The Pewter Wolf.